If you own or maintain a website, link building is something that you need to know how to do, as it is the process of getting external pages to link back to your site. Link building is just one of many important processes in your overall SEO campaign. Though difficult and time-consuming, if you are able to build high quality links, the results are well worth the effort. High quality links are links from authoritative websites such as Forbes or Wall Street Journal and are much more effective in boosting your search engine rankings than links from new sites or sites of small businesses. However, links are links, and you have to start somewhere. Whether you’re new to link building or have been doing it for years, this guide will teach you how to build quality links by implementing strong SEO and content marketing campaigns. Though there is a lot to take in, it is essential that you learn the basics if you hope to ever compete and thrive online. Many companies, when they create blog posts, white papers, or even email newsletters, link back to authoritative sites when citing sources. Those links are called “hyperlinks,” and they are used to allow readers easy navigation between sites. When search engines crawl the web, they look for links on every single individual page. A resource that has more hyperlinks out there will be rewarded with a nudge up the search engine rankings. There are many techniques for building links, but most SEO professionals agree that whatever technique they use, link building is one of the most difficult aspects of their job. For that reason, if you can master the art of link building, you will have a leg up on several competitors within your industry. Why Should You Care About Link Building? To discover new web pages. The sole purpose of creating a website is to be found on the web so that you can either generate more leads or make more sales. If you cannot be found, all of the time, effort, and resources you put into building your site are wasted. Link building is one of the most significant factors in how Google and other search engines choose to rank web pages. But why? Good question. When numerous external pages link back to your website, it tells Google that you are an authoritative source within your industry, and that you can be trusted. In fact, link building was first used as a ranking factor for this very purpose by one of Google’s founders, Larry Page. Page invented PageRank, which the search engine giant used to measure the quality of a page based on the number of external links pointing to it. The concept was that pages that had more links deserved those links, as they provided helpful content to its visitors. Unfortunately, companies started wising up to Google’s ways and quickly discovered how to manipulate PageRank. To counteract these frauds, Google developed several different algorithms, which they rolled out periodically to weed out websites that didn’t deserve to rank. Today, Google’s algorithms are kept private, and it’s hard for SEOs to nail down what, exactly, the search engine giant looks for when ranking pages. This has made it extremely difficult for SEO experts to do their job. However, one thing experts can count on is that quality is rewarded. From quality content to quality links, Google looks for and commends pages that have both. When first building your links, you will need to reach out to others within your industry to see if they wouldn’t mind promoting your link. Not only will this help you reach your end goal (to gain a link), but also, it serves to connect you with key industry leaders and, hopefully, to establish a back-and-forth relationship in which you help them and they help you. If key influencers trust your content and are willing to advocate for you, their followers will be willing to advocate for you as well. 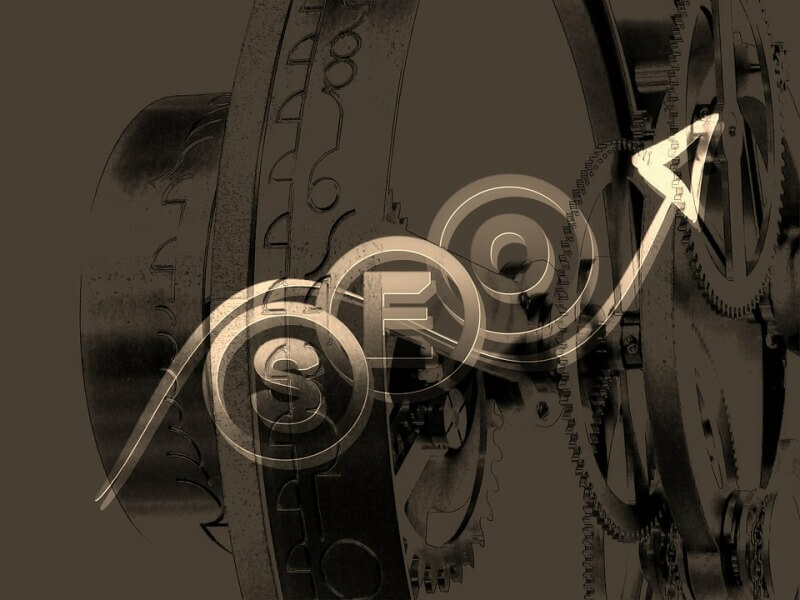 Though links from a highly credited site are awesome for SEO purposes, links from smaller sites may prove to be more beneficial from a sales standpoint. Think about it: if your link is featured on Forbes.com, someone who clicks it may just be interested from where the author pulled his stats. However, let’s say you sell website development services. A link from a small content marketing company’s blog that talks about the importance of a professionally built website may result in a sale, as the reader is probably interested in outsourcing website development and content marketing services. In short: links from larger websites are great for SEO purposes, while links from smaller websites are great for sales. Some of the most popular link building techniques are also useful for establishing your brand name. For instance, if you routinely publish quality content, people will begin to recognize your company’s name and grow to trust your brand. This kind of recognition will go a long ways towards helping you obtain links through outreach efforts. Additionally, once people begin to recognize your name, you won’t have to ask them for links—they’ll just give them to you. There’s nothing better than the feeling of hard work paid off, and that is especially true when it comes to link building. Not only is it rewarding to know that you’ve created content worth linking to, but also, earned links are much more sustainable than links you’ve asked for. Ideally, your link building campaign should begin with ideas for webpages, blog posts, infographics, and other pieces of content to link to, as opposed to trying to link to existing assets. This is not to say that your existing assets aren’t worth linking to (as they might well be), but more often than not, the most successful campaigns are those that are planned and followed through with from Stage 1 until the end. This is because all link building campaigns must start with something worth linking to. It is very difficult to build quality links to low quality pages, which is why it is best to provide significant value from Day 1 of your endeavor. When you start off on the right foot, people will be more inclined to trust you than if you had started building links to low-quality pages and then revised your tactic halfway through. Next: How to Start Your Link Building Campaign.